Regardless of your age or physical health, it’s important to have regular eye exams at our Pearland eye care center. In addition to the quality of your vision, the quality of your eye health matters to us. At our family-friendly, eye care center we offer regular, complete evaluations of your eyes and your children’s eyes. These total assessments check much more than visual acuity. No matter your age or physical condition, comprehensive examinations are necessary for promoting the long-term health of your eyesight. Our expert Pearland optometrist, Dr. Tuan D. Dang, will take the time to inspect your eyes carefully. With his highly personalized approach, the Pearland eye doctor will use a variety of procedures and eye tests to check for any signs of eye disease, weak vision or improper functioning. Your Pearland eye exam may include having you read a simple wall chart of letters and numbers, in addition to more complex screening that uses a high-powered lens to view your retinal tissues. A comprehensive eye exam in Pearland includes a number of tests and procedures to examine and evaluate the health of your eyes and the quality of your vision. These tests range from simple ones, like having you read an eye chart, to complex tests, such as using a high-powered lens to examine the health of the tissues inside of your eyes. When Should You Visit Your Pearland Optometrist? Eyecare experts recommend you have a complete eye exam approximately every 12 months, depending on your age, risk factors, and physical condition. When is it time to bring your child for a comprehensive eye exam? According to the AOA, all children should start very young with eye exams. The first examination should be at a half year old, followed by another at 3 years old. Studies indicate that as many as 10% of all preschoolers and 25% (!) of all school-aged kids suffer from vision problems. An undetected visual condition can make learning into a struggle for your child and cause delays in cognitive development. Therefore, it is crucial to perform a complete eye assessment prior to the start of first grade. If your child is diagnosed with any visual conditions, regular exams will be indicated more frequently – as instructed by your child’s eye doctor. In general, children who wear contact lenses or eyeglasses will need an examination every 12 months. If no vision correction is needed, then the AOA advises periodic assessments at least every two years for children during school years. At Texas State Optical Shadow Creek, we will be happy to meet with you, discuss your personal health and advise you on how often to visit our Pearland, TX, office for a comprehensive eye exam. When it’s time for a professional evaluation of your vision and ocular health, please call us to schedule an appointment with Dr. Tuan D. Dang. We look forward to seeing you and your eyes! When is it time for your comprehensive eye exam? If you have specific health risk factors, such as hypertension or diabetes, you will require more frequent eye evaluations due to the possible damaging effects that these diseases have on your eyes. Please consult with our Pearland eye doctor, to inquire about how often you need a comprehensive eye exam. After 40 years old, the incidence of many age-related eye conditions is higher. Ocular problems such as presbyopia, macular degeneration, and cataracts become much more common. For more information about the changes that may occur to your eyes, read Vision after 40. These risks continue to increase with time, and therefore it is critical to have your eye doctor perform annual eye evaluations after age 60; see Vision after 60. If you’re due for an eye exam, call today to reserve an appointment in our Pearland, TX, clinic. 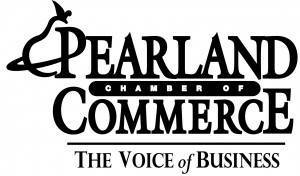 Read more about our Pearland Online Eye Exam Screening.